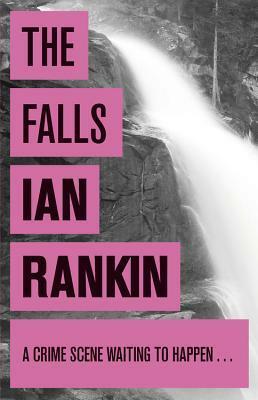 I loved The Falls by Ian Rankin. This is set in Edinburgh where a university student Philippa Balfour, known as ‘Flip’ to her friends and family has disappeared. DI Rebus and his colleagues have just two leads to go on – a carved wooden doll found in a tiny coffin at The Falls, Flip’s home village, and an Internet game involving solving cryptic clues. Rebus concentrates on the tiny coffin and finds a whole series of them have turned up over the years dating back to 1836 when 17 were found on Arthur’s Seat, the extinct volcano within Holyrood Park, east of Edinburgh Castle. DC Siobhan Clarke meanwhile tries to solve the cryptic clues. There are many things I liked about this book – the the interwoven plots, throwing up several suspects; the historical references to Burke and Hare, the 19th century resurrectionists; the spiky relationship between Rebus and his new boss Gill Templeton; Siobhan Clarke whose liking for doing things independently matches Rebus’s own maverick ways; and above all the setting in and around Edinburgh. All the way through I kept changing my mind about “who did it” and it was only just before the denoument that I worked it out. This is a very satisfying book and I’m looking forward to reading more Rebus books very soon. I haven’t read any of the Rebus books. Would you say these books are more mystery than anything else? I like a good mystery but the characters have to be fleshed out and someone I can care about. I think I may have to try the books for nothing else than the setting. Thanks for the review. I can’t believe it myself, but I’ve never read an Ian Rankin novel. My dad and my sister-in-law both love them, so I could easily borrow one to try! This one series I’ve never tried and nor did I watch the TV series. (There was one wasn’t there?) I’m really just getting into crime books – just reading a Peter Lovesey – and am glad to pick up a few recs of books that might suit me. I like the slightly more unusual ones it seems. Lisa, they’re not just mysteries – I think the characterisation is good and yes I did care about and like them. Litlove, do borrow one and then write about it, please. Cath, there have been two TV series – John Hannah was Rebus in the first and Ken Stott in the second. I liked both, but maybe Ken Stott had the edge. The Falls was Stott’s first performance as Rebus and although I watched it I didn’t remember the detail – which is one reason I prefer reading to watching televised books. I must check these out at the library, I haven’t read any . Glad you liked this book! I enjoyed it too, and I hope to read more Rankin some day. I have this very same book to read. There are so many Ian Rankin books out there I didn’t know where to start, so I’m glad this is a good one (as it’s the only one by him I have!). A big thank you to you for the recommendation. I picked the book up from a book fair yesterday. Today I needed some easy reading – I have a dreadful cold, painful sinuses, and felt miserable. I picked up “The Falls” and have barely put it down all day. Enjoyed it immensely, particularly when I got one of the clues straight away. I noticed a swathe of Rankin’s books at “The Works” the other day – I’m going back for some shopping!